Visitors to Singapore can soon say goodbye to the stressful process of fumbling for a pen on the plane to fill up their arrival cards. 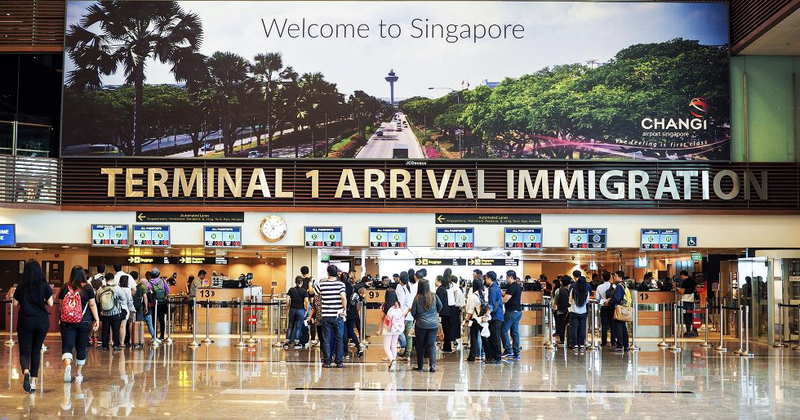 The Immigration & Checkpoints Authority (ICA) announced today that it will be launching a 3-month trial for an electronic arrival card for visitors to Singapore. There are hopes that this will eventually replace the current paper disembarkation/embarkation card that visitors need to submit upon arrival. The electronic arrival card will be made available in various foreign languages, and visitors can submit their personal information through the ICA website or via a mobile application before their arrival. Following that, they will only need to produce their passports for immigration clearance, as all their information and trip details will already be in the system. For visitors travelling with their families or in small groups, there will also be an option of making a one-time group submission. 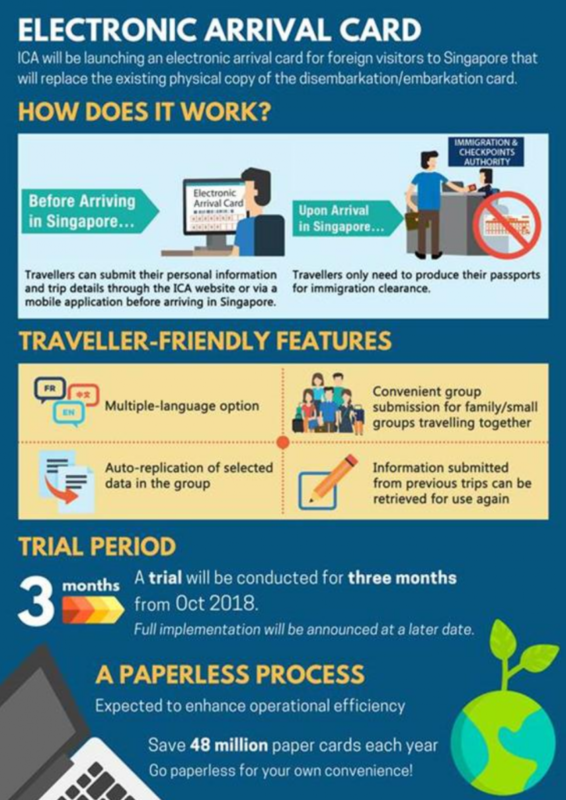 The trial will start from 4 October 2018, and will be conducted at “most of the air, land and sea checkpoints, namely Woodlands and Tuas checkpoints, Changi Airport, and the four cruise/ferry terminals (i.e. Singapore Cruise Centre, Tanah Merah Ferry Terminal, Changi Point Ferry Terminal and Changi Ferry Terminal)”. Foreign visitors who arrive at these checkpoints but have not yet completed the paper-based disembarkation/embarkation card may be approached by ICA officers to participate in the trial, and to provide feedback. ICA will use the feedback to fine-tune the system and processes and achieve a better user experience. Singaporeans, permanent residents (PRs) and long-term pass holders who are returning to Singapore will not be affected. The implementation of the electronic arrival card is part of ICA’s bid to enhance operational efficiency, and its vision of “paperless immigration clearance”, which will save up to 48 million paper-based disembarkation/embarkation cards a year. Details of its implementation will be announced after the completion of the 3-month trial.